I have a few favorite foods and some of them are guilty pleasures. First off, I LOVE cheese. It's kind of an unhealthy obsession, but all of the varietals are just so delicious. Never leave me alone around a cheese plate at a party or an event. Second, I am a sucker for peas. My mom served us peas as children, and my fondness for the green vegetable stemmed from my early days of eating it at dinner. I like them plain, no seasonings or butter. And lastly, I'm a sucker for hotdogs. While it may not be the healthiest option, it has always been a favorite of mine and the resurgence of gourmet hotdogs has taken a once simple food and turned it onto a work of art! None! I don't plan on getting any either, but I do find tattoos to be quite beautiful and many of my friends who do have them have wonderful stories behind the significance of the art. 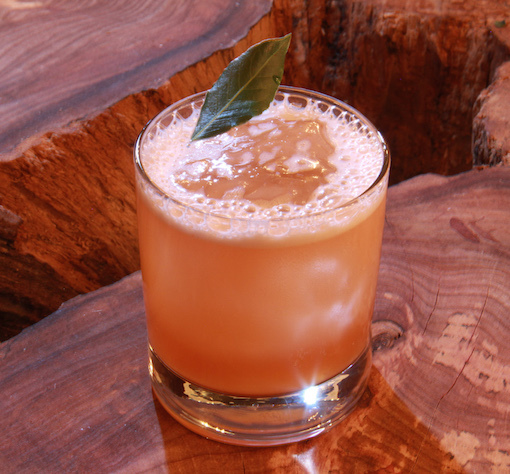 Make a drink for/meet Barbara Walters. I am her biggest fan; and since I was a little girl, I have watched her interviews and news programs. I find her completely captivating and would love the opportunity to meet her face to face one day. I would love the ability to teleport or be in two places at once. I love to travel, and with friends and family who live all over the country and world, I only wish I could possess the ability to hop from one city to another in the blink of an eye. Combine ingredients and shake vigorously. Strain over fresh ice in a low ball glass and garnish with a Kaffir Lime leaf (lightly slap the leaf before placing on the drink to release the aromas). In a pot, bring 2 cups of water to a boil with diced fresh stalks of lemongrass. Allow to boil or 10 minutes then take off of the stove. Allow to sit for another 20 minutes and strain off the lemongrass. Add in 2 cups of white sugar, reheat until the sugar dissolves and then allow it to cool. Place in fridge to keep fresh. Since 2006, Pamela Wiznitzer has been working at bars throughout NYC, and most recently can be found as the Creative Director and bartender at Seamstress on the Upper Eastside of Manhattan. She has earned honors from her industry peers – including winning 1st place in the 2014 National Restaurant Association's "Star of the Bar" competition and 1st place in the 2013 Louis Royer "Show Me the Proof" competition. 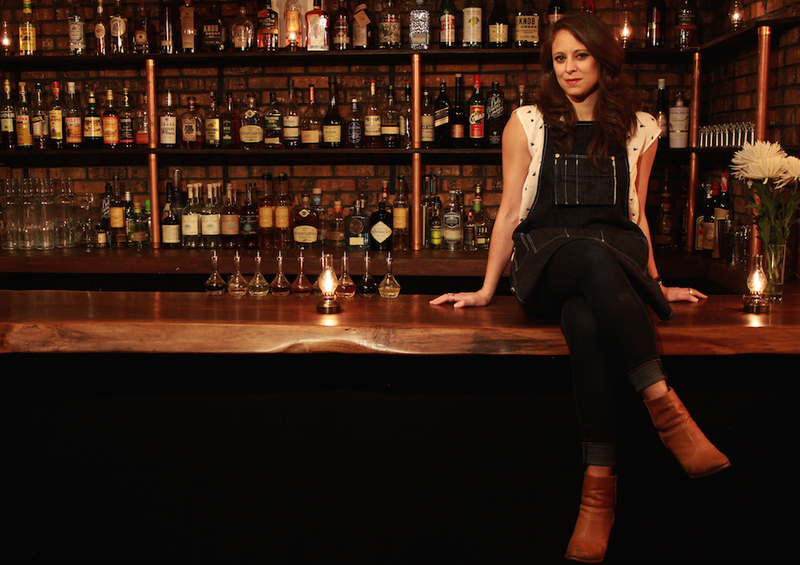 She recently was nominated as one of the top 10 bartenders for the 2014 "American Bartender of the Year" award at Tales of the cocktail and was named the "2014 Bartender of the Year" by the Village Voice. Additionally, she was just named as one of Food & Wine Magazine's top 10 Rising Star Mixologists. Pamela serves as the President of the New York chapter of the United States Bartenders' Guild and currently working towards a master’s degree in Food Studies, with a concentration on spirits and alcohol, at NYU’s Steinhardt School. Pamela is also a recent graduate of the rigorous Beverage Alcohol Resources 5-day program, earning top honors by passing the course "Bar Ready." She has been featured in multiple publications including the recent cover of The Tasting Panel, Travel & Leisure, Bar Business Magazine, The Village Voice, Zagat, Glamour, Cosmopolitan, Shape, Self, The New York Times, ABCNews.com, and Underground Eats as well as reoccurring media appearances on the the Food Network, Vh1, NBC, LXTV, Fox & Friends and BetterTV. Cheers to her!